Just in time for the St Patrick’s Day celebrations, Ireland's oldest working distillery is to release a new blend, aimed squarely at the American whiskey drinker's palate. 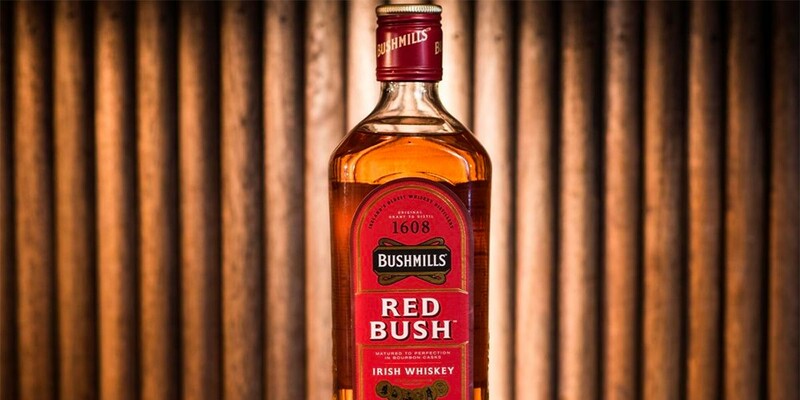 Bushmills have announced a new addition to their blended whiskey range. For many years their blends have been limited to two expressions, the standard Bushmills and the iconic Black Bush, famous for it’s Oloroso sherry character. The new release, Red Bush, is matured exclusively in bourbon casks so it promises to be an accessible whiskey with plenty of vanilla notes. From what the company say about Red Bush, it appears to be aimed at bourbon lovers and new whiskey drinkers but if you’re a fan of smooth Irish whiskey and you want something approachable and easy drinking this is almost certainly worth a look. Unfortunately, Red Bush is only available in US at the moment so the rest of us will have to wait.